The Chippewa Valley Railroad Association’s 1/4-scale, coal-burning, steam-powered train (and others like it) have delighted local passengers for three and a half decades. Chippewa Valley Railroad Association President Dave Peterson thinks of Carson Park as a big backyard. “It’s great to come to the park and see people riding the train,” Peterson said. “There are few events now where grandparents can take grandchildren and ride the same ride.” That ride that entertains multiple generations has also been around for multiple generations, celebrating its 35th birthday this summer. The train itself is the cherished project of The Chippewa Valley Railroad Association. The CVRR was founded in 1977 “as a point-to-point, 1/4-scale, coal-burning, miniature steam-powered train ride using 19-inch gauge track.” They are a non-profit group that is enthusiastic about and committed to “preserving the rich Eau Claire, Wis. railroad history through our members, interactive interpretations, railroad relics, and practical demonstrations.” Peterson has been in on it since the very beginning. In 1977, after a few false starts, he and the few other members of the CVRR at the time, David Farr, Peter Beck, and Roth Schleck, purchased a 19 inch track and made arrangements with the city of Eau Claire to lay them in Carson Park. Existing CVTC students helped build the depot and a 1/8 mile track was set. 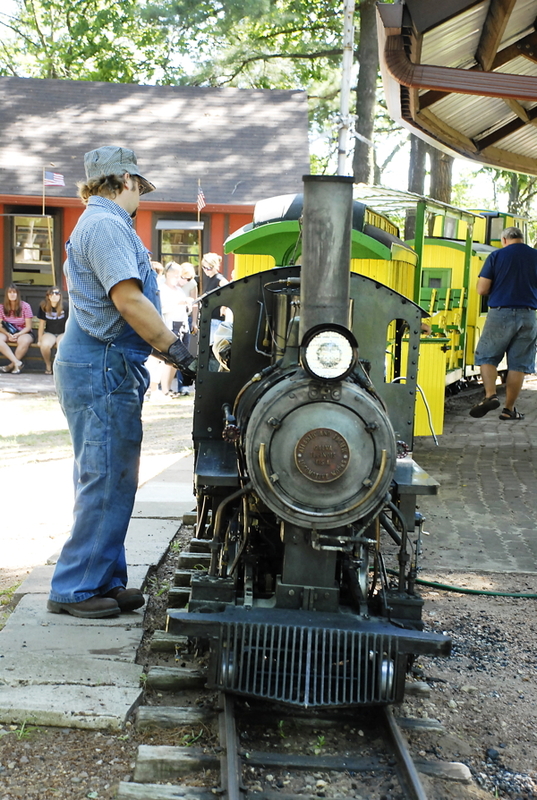 Originally in the market for a full size steam locomotive, the club came across a train ¼ the size and so became our beloved mini train in Carson Park, with the original coal engine still running today. The first track laid was a straight there-and-back journey, but after an intense wind storm took down many of the trees in Carson Park and loggers cut a near perfectly placed path, the CVRR enquired the city on using that path to create a full loop railroad track. This allowed an additional diesel pipe steam liner to run in sequence with the original steam engine. 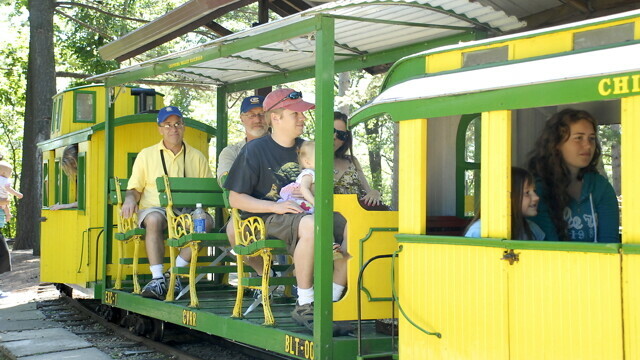 Today, this mini train in Carson Park is a favorite destination of locals, visitors, and children especially. The CVRR is all volunteers with the same mere $5 joining fee since the 70s; they feel gracious towards the city of Eau Claire in working with them, other volunteers, and the public to make their venture a huge success. Rides will be available every Sunday and holidays (Memorial Day, 4th of July, and Labor Day) from noon to 5pm. Single-trip tickets are $2 for children and $3 for adults; 12-trip multi-ride passes are $20 for children and $30 for adults.